Supreme Court Revives LIBOR Antitrust Appeal in Gelboim et al. v. Bank of America Corp. et al. On January 21, 2015, the Supreme Court of the United States issued a highly anticipated decision in a LIBOR-based antitrust class action suit allowing a plaintiff to immediately take a direct appeal from an order dismissing that plaintiff’s complaint in its entirety even when that case has been consolidated by the Judicial Panel on Multidistrict Litigation and other cases remain pending in the consolidated action. The decision in Gelboim et al. v. Bank of America Corp. et al. arises out of a multidistrict litigation that consolidates all cases involving allegations that defendant banks understated their borrowing costs and suppressed LIBOR, thereby allowing the banks to pay lower interest rates on financial instruments sold to investors. 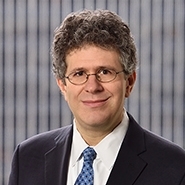 One complaint in the consolidated litigation – the Gelboim-Zacher complaint, filed on behalf of purchasers of bonds with LIBOR-linked interest rates – alleged but a single federal antitrust claim under § 1 of the Sherman Act. Specifically, the putative class action complaint alleged that the defendant banks colluded to suppress LIBOR for two reasons: (1) to understate their borrowing costs and portray themselves as economically healthier than they actually were and (2) to pay lower interest rates on LIBOR-based financial instruments sold to investors. Before the Supreme Court, the bank defendants argued that the consolidated cases should be treated as a single unit: until all claims brought by all plaintiffs are dismissed, there is no right to appeal. The plaintiffs contended that once their case was dismissed in its entirety, they had a right to file a direct appeal under Title 28, United States Code, Section 1291, which permits an immediate appeal from a final decision of a district court. This question had divided the Courts of Appeals prior to today’s ruling. The Supreme Court ruled for the plaintiffs. Justice Ginsburg wrote that Section 1407, which permits the consolidation of cases in a multidistrict litigation, does not create a monolithic multidistrict action. Each case retains its own identity and is not “meld[ed] . . . into a single unit.” The decision here ended entirely the plaintiffs’ case and therefore “had the hallmarks of a final decision” by “terminat[ing] their action.” A contrary rule, the Court explained, would leave plaintiffs “in a quandary about the proper timing of their appeals.” Should an appeal be filed immediately upon the order dismissing their action, or must it await the conclusion of consolidated pretrial proceedings? The Court’s rule provides certainty to plaintiffs about the timing of their appeal and does not require them to wait until some uncertain point, far into the future. The Second Circuit will now address the merits of the plaintiffs’ investors antitrust claim that the defendant banks’ purported artificial suppression of LIBOR to pay lower interest rates on LIBOR-based financial instruments sold to investors during the class period constituted a per se violation of Section 1 of the Sherman Act. Issues on appeal will concern whether or not plaintiffs can demonstrate injury stemming from an “anticompetitive” aspect of defendants’ conduct with respect to LIBOR rates.